A group led by California's first partner, Jennifer Siebel Newsom, on Monday launched a new campaign to raise awareness of the gender pay gap as part of an effort to achieve pay equality for women. "California has the strongest equal pay laws in the nation — but there is still more work to do," said Siebel Newsom, an award-winning filmmaker and the wife of Democratic California Gov. Gavin Newsom. 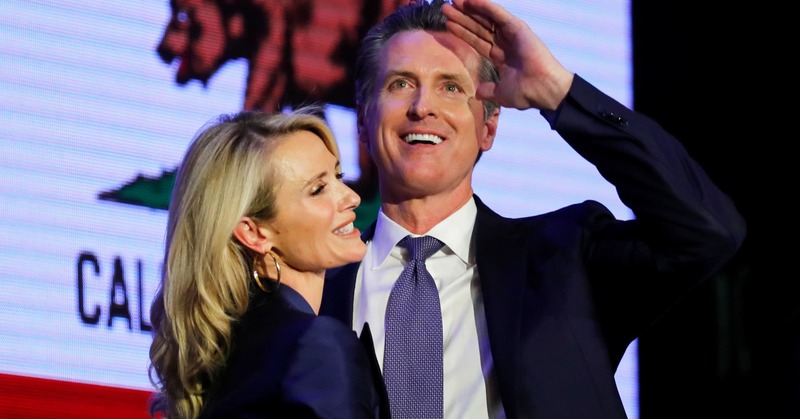 Siebel Newsom has eschewed the traditional title of "first lady" and instead prefers "first partner." The group, which includes a state commission on women, announced "13 inaugural corporate commitments to their CA Equal Pay Pledge," including Apple. Apple did not respond to a request by CNBC for comment. "Anything that brings attention to the fact that this still exists, and especially gets a high-profile effort to get companies to make the commitment to pay equity, is encouraging," said Ariela Gross, a professor of law and history at the University of Southern California Law School. According to Siebel Newsom, the "13 inaugural signatories" agreed to voluntarily conduct an annual companywide gender pay analysis as well as review hiring and promotion processes "to reduce unconscious bias and structural barriers and promote best practices that will close the pay gap to ensure fundamental equity for all workers." "We do see when audits happen, we discover, 'Oh yeah, look, it turns out there are these discrepancies,'" said Gross. "There's a lot that can be done to remedy them." California women — about 41 percent of the state's workforce — make 89 cents for every dollar that men make, according the National Partnership for Women & Families, a D.C.-based nonpartisan advocacy group. The figure averages 80 cents nationally, translating into an annual gender wage gap of $10,169. "The wage gap across the country has been very persistent over the years," said Vasu Reddy, senior policy counsel for workplace programs at the national partnership group. Reddy said California has one of the smaller wage gaps among states, but added it's still tough on women because of the state's high cost of living. "We're talking about a gap that is still costing women thousands of dollars each year that could be spent on food, housing payments, utilities, and other basic necessities," she said. Overall, the national group estimates California women lose on average a combined total of more than $78.6 billion each year as a result of the wage gap. Among other companies participating in the equal-pay pledge are Salesforce and Airbnb, both based in California. "Equal pay is not just about the equitable treatment of women or an individual company's fair treatment of women — it is about human belonging," said Beth Axelrod, vice president of global employee experience at Airbnb. "And for Airbnb, whose mission is belonging, equal pay is foundational when it comes to advancing belonging — and that means equal pay for equal work for all." "Four years ago, Salesforce committed to equal pay for equal work and it has become part of our company DNA," said a Salesforce spokesperson. "But this isn't something we want to own by ourselves — industry action is crucial." Dallas-based AT&T also is on the list as an inaugural participant. "AT&T is committed to pay equality — regardless of gender or ethnicity — for people who hold the same jobs, have the same experience and performance levels, and work in the same geographic area," said Rhonda Johnson, state president of AT&T California. "Equal pay for equal work is part of our strong commitment to a diverse and inclusive workforce, and we appreciate the opportunity to join First Partner Jennifer Siebel Newsom in this ground-breaking initiative." The California Commission on the Status of Women and Girls partnered with Siebel Newsom in Monday's announcement, which includes a campaign to raise awareness of the pay gap in California and targets employers, labor unions and employees. "We are excited to have sponsored the work of the Pay Equity Task Force and recognize the importance of these resources in establishing a real cultural change in the state of California that ensures women are treated equitably in the workplace," said CCSWG Chair Alisha Wilkins. The launch of the campaign follows the Democratic-led U.S. House last week voting 242-187 in favor of the Paycheck Fairness Act, a measure co-sponsored by more than 200 Democrats and Republican Rep. Chris Smith of New Jersey. The proposed federal legislation includes amending the Equal Pay Act to allow plaintiffs to participate in class-action lawsuits for cases of pay discrimination. Seven Republicans in the House voted for the Paycheck Fairness Act. However, the legislation faces a less-certain future in the GOP-controlled Senate. Critics of the proposed bill have called it "misguided."